The Whole Megillah recently spoke to author Amy Axelrod and Holiday House editor Julie Amper about Your Friend in Fashion, Abby Shapiro. 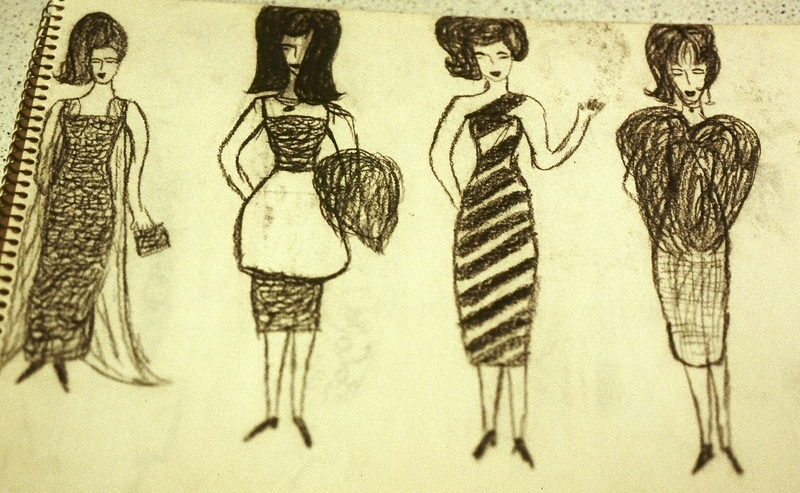 I will freely admit a few things: As a kid, I had a Barbie® lightbox that helped me draw fashions. My favorite book was one about Barbie being a fashion designer in New York City. I submitted a design in metallic crayon to Bunny Ball comics when I was 12 and it was published! (Although it was printed in brown and gray instead of my metallics.) My high school guidance counselor wanted me to go to the Fashion Institute of Technology in Manhattan for college. I didn’t even apply. I regret that decision daily. The Whole Megillah (TWM): Please describe your writing process for Your Friend in Fashion. 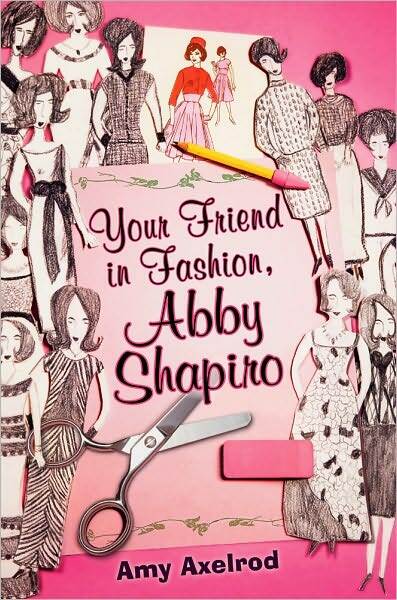 Amy Axelrod (AA): Your Friend in Fashion, Abby Shapiro began as Headless Barbie and Other Doll Tales From My Childhood. It was intended to be a memoir for older readers about my unusual childhood growing up in an extended household (still rooted in the shtetl) and my emotional connection to dolls. My agent felt that it would not sell in this format and offered me three words of advice…Middle Grade Fiction. Being a picture book author, I wasn’t sure I had it in me to write a novel. I’d never taken a fiction writing class and in general disliked working with structured outlines. I was stuck for about six months. And then the light turned on. It suddenly dawned on me that if I changed my family members’ names, I might be able to look at them as fictional characters. It was such a simple thing, but that’s all it took. The next step was to have the right opening line. My experience with picture books taught me that the first line shapes the whole book. So once I wrote…. “Auntie Rina says I should tell Susie Applegate that she is full of baloney,” Abby’s voice was loud and clear and ready to tell her story. I wrote the novel quickly, without an outline, just using the original memoir as a guide and did not revise until I was finished. This was a departure from my usual method of revising in layers during the writing process. TWM: How did you decide what to fictionalize and what to keep true to yourself? TWM: I love that line! AA: But when I asked her if she ever had a boyfriend, she became quiet and I knew she would weigh her words very carefully before answering. “There was someone, once,” she said. “I liked him a lot, but it wasn’t meant to be.” I sensed her regret so in the novel I gave her a suitor, Sy, who waits nearly a lifetime for Rina to acknowledge his affection for her. TWM: What was your greatest challenge in writing this book? Your greatest satisfaction? AA: Truthfully, my greatest challenge was keeping focused while revisiting painful wounds of childhood. I was somewhat deflated, to put it mildly, when I finished the manuscript. I didn’t look at it for weeks because I needed to put some distance between me and Abby. When I finally picked it up again, I was able to read the story fresh, as a reader, not as the author. And I laughed! Also, many years ago I was a graduate student at Columbia University and earned an M.A. in the Department of Linguistics (Weinreich Center/Yiddish Studies). 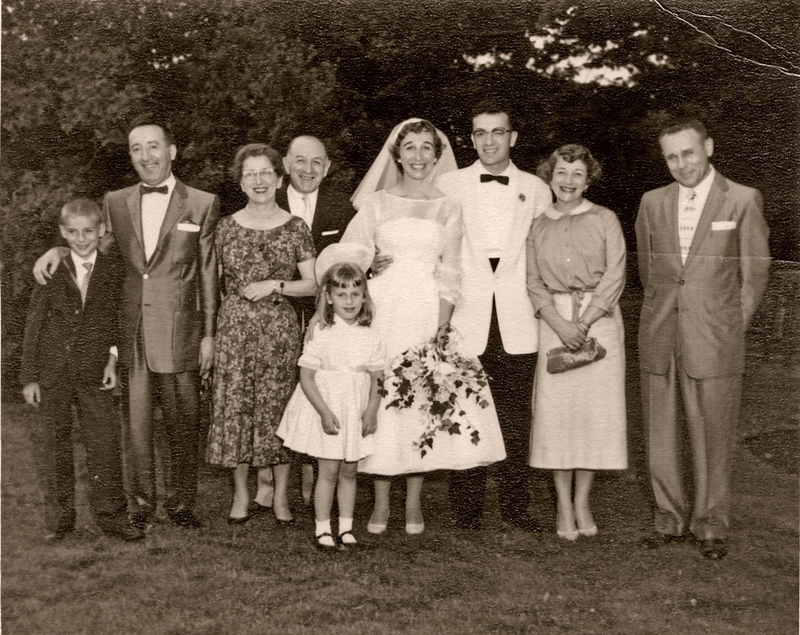 It seemed so natural while writing the novel to use Yiddish in the dialogue with all of its humorous, rich beauty. I think writing Your Friend in Fashion, Abby Shapiro, was bashert, to use one of Abby’s favorite Yiddish words. TWM: Your novel includes treatment of several Jewish values, including tikkun olam, repairing the world. Was that a conscious decision? AA: I’m the product of a rigorous Jewish education (Conservative Movement) where not only the concept of tikkun olam was discussed, but we were encouraged to give to charity and to do our part in making the world a better place. I’ve tried to live by this value in my adult life, especially as a parent. I wanted to explore this in Your Friend in Fashion, Abby Shapiro because there is so much wrong in Abby’s world. I wanted her to understand what it means to do the right thing and to set an example for the adults in the novel. TWM: Even though you grew up during the time you wrote about, did you engage in any research to provide historical context? AA: Not really. I did check dates and facts about the Kennedy campaign/election and popular culture of the period just to make sure that my memory served me correctly. TWM: Julie, what attracted you to this story? Julie Amper (JA): Abby. I’ve always been drawn to character-driven fiction, and Abby was totally irresistible. I loved her world view, her optimism, her enthusiasm, her courage, her sense of humor, and most of all her big, big heart. She made me laugh, she made me cry, she made me cheer. She’s someone I would have loved to have been best friends with at age eleven. I also loved the way the Amy Axelrod captured a memorable period in my own childhood—the transition from the staid, conservative ’50s to the exciting promise of the Kennedy years. And finally, I am a sucker for the epistolary format, which was handled so brilliantly in this novel. TWM: What was your greatest challenge in developing this book and bringing it to market? JA: The book was really quite a joy to work on. Unlike many authors of semi-autobiographical novels, Amy Axelrod was able to separate fact from good fiction, to weed and winnow and let the heroine and the narrative story line assume pride of place, even if it meant eliminating or altering historical fact. I did find myself asking Amy, “Was this true?” “Did that ever really happen?” I marveled that in this case truth was often just as compelling as fiction and when it wasn’t, Amy knew just what to do about it. I was delighted that everyone at Holiday House– editorial, art, marketing and sales departments supported Amy’s desire to illustrate the book with the charming, but amateurish paper doll fashion drawings she had done as a child. This clearly demonstrated that they “got” the book’s special magic, which is very gratifying for an editor. TWM: Many editors have been saying it’s hard to sell historical fiction. What’s your perspective on that? JA: As I said in response to the first question, I am drawn to character-driven fiction and if the characters are strong and their story compelling, I think that the book will find an audience. When you have an unforgettable heroine like Abby carrying a fast-paced, laugh-aloud, deeply moving story like Your Friend in Fashion, Abby Shapiro, you could set it at any point in history and it would be a winner. And keep in mind that for today’s eight-year-old, a novel set in 2003 is historical fiction. We’re fortunate at Holiday House to have such a strong school and public library market where historical fiction is still viable, and I hope we will continue to publish it for years to come. TWM: What was your favorite book growing up? AA: My favorite book as a child was Impunity Jane by Rumer Godden. I loved all of her books, not just because she was a wonderful storyteller, but because she wrote many adventures about dolls. Impunity Jane is the story of a small china doll that is put in a dollhouse when she’d rather be having fun in the real world. The grandmother in the story who purchases the doll tells her grand-daughter that the doll is well-made and could be dropped with impunity. I remember thinking that “impunity” was such a big vocabulary word! My Auntie Ida gave the book to me one Chanukah. I re-read Impunity Jane a million times, and sadly it did not survive my childhood. However, many years later I was in my own small town library, where I found a badly-battered copy on the shelf. It hadn’t circulated in over twenty years. I asked the librarian if I could buy it, and she said she’d gladly give it to me, since she was going to be “weeding out” old volumes. I told her I’d prefer to barter. I took Impunity Jane home with me then returned with multiple copies of books I’d published for the library. TWM: Have you thought about merchandising a line of fashion design kits for kids or giving workshops? AA: No, but thanks for the suggestion! I’ll sleep on it for a while! TWM: Did you use Barbie’s fashion design lightbox as a kid? AA: I don’t think it existed in my early days with Barbie. All of my models and designs were drawn freestyle. I created three additional designs for the novel, and fortunately, my artistic abilities were exactly were I’d left off… in 1962!! TWM: Did you ever submit your designs anywhere as a kid? AA: No. If there were kids’ magazines at that time to do such a thing, I never knew about them. I was just happy to share my paper dolls and their fashions with my friends. This entry was posted in Authors, Editors and tagged Amy Axelrod, Holiday House, Julie Amper, Your Friend in Fashion Abby Shapiro. Bookmark the permalink.